1LessTax.com – Ken Wheeler Jr.
What’s the Difference Between a Short Sale and a Foreclosure? They can both result in great deals, but foreclosures and short sales are different. Foreclosures and short sales may seem very similar, and they do have some basic things in common. They both tend to happen when a property owner had or is having financial issues. But they have important differences that can make a big difference when you’re hoping to buy one. A short sale happens when a property owner sells their home for less than they still owe on it. This often happens when homeowners are struggling to make their mortgage payments. They could be on the verge of foreclosure, and selling for a lower price is the better option for them. The lender must approve of the seller’s plan for a short sale. Many lenders are eager to avoid the expense and drawn-out hassle of going through the foreclosure process (more on that below), and allow the sale to proceed. Here’s how buying a short sale works. Most real estate experts will attest that buying a short sale takes patience. The process can involve a lot of red tape. It also requires plenty of waiting: Buying a short sale can take months, perhaps even a year or more. And the deal can fall apart for a variety of reasons. But the bottom line is price. If you are successful, you can get a really good deal by buying a short sale. A foreclosure happens when a borrower is unable to make their monthly payments and the bank takes back ownership of the property. There are several stages of the foreclosure process. If the borrower has missed a few payments and fallen behind (known as being in default), but the lender hasn’t begun foreclosure proceedings, this is known as pre-foreclosure. It is possible for the owner to still sell the home themselves at this point. If the bank completes foreclosure proceedings, the owner no longer owns the home, and the bank puts it up for sale. Here’s how buying a foreclosure works. For a buyer, making a deal with a seller during the pre-foreclosure phase can offer some advantages compared to other foreclosure or short sale scenarios. A pre-foreclosure deal is just like any other typical sale, where you can tour and inspect the property, make an offer, negotiate the price (at long as it stays at or above the amount of the mortgage balance), and schedule a closing in a reasonable amount of time. Buying a fully-foreclosed home from the bank has pros and cons. The lender can sell the house an auction or in a regular real estate sale. The auction process works exactly how you might imagine it would: The lender sets the minimum bid (often, the amount left unpaid from the mortgage), and if you submit the winning bid and abide by all other terms of the sale, you can buy the property. However, you may not have the opportunity to view or inspect the property, which means you’ll be taking a risk. Also, you often need to come up with the money for the purchase quickly, and may not have a chance to secure financing. If the home is sold as a bank-owned property (sometimes known as REO, or real-estate owned properties) on the market, the process begins much like any other real estate sale. But the borrower is out of the picture at this point, so you or your agent will deal with the lender, or a real estate agent acting on their behalf. The lender is generally motivated to make a deal, and may even offer attractive financing terms as an extra incentive. However, as some foreclosures are owned by large, busy lenders, the process may be slow-moving as negotiations and other communications take days or weeks. What foreclosures and short sales do have in common are that they can both be great ways to get a good deal on a house. There may be a more suitable or appropriate tax structure depending on your circumstance. We would like to have one of the Estate Planning Team's tax specialists discuss your specific circumstances and goals with you. We include a non-disclosure confidentiality document for doing business. We are searching for long term integrity associates with common goals. Look forward to knowing you and your goals. 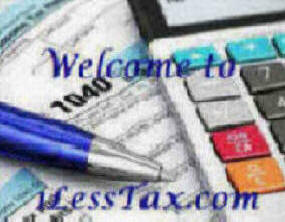 Tax and Legal Advisors always recommended. Copyright © 2018 K. B. Wheeler Jr. All rights reserved.